Let Arrest Apest help you control unwanted pests using traditional methods. 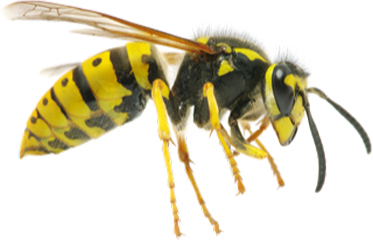 Find out more about our Wasp pest control services. 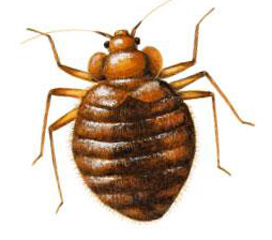 Find out more about our Bed Bug pest control services. 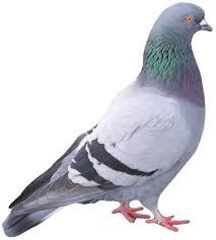 Find out more about our Feral Pigeon pest control services. 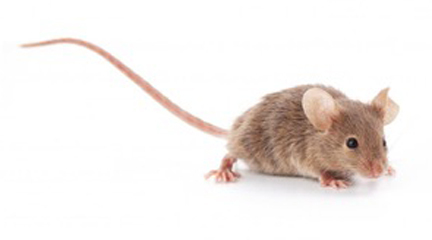 Find out more about our Mice pest control services. Arrest Apest are a local, family run pest control company established since 2009 operating within the Staffordshire, Cheshire, West Midlands and Derbyshire areas. Our technicians are fully qualified with City & Guilds / RSPH Level 2 qualifications as well as much more to ensure that we provide the best service possible. We are fully insured and are continually updating to improve our services. Our technicians are friendly, professional, helpful and aim to resolve your pest control issues as quickly and efficiently as possible. As well as carrying out pest control throughout Stoke on Trent, Staffordshire and the West Midlands, we also offer advice and can carry out pest proofing to your home and business to help minimise pest problems in the future. We also offer pest control contracts for business and domestic properties at very competitive rates which includes regular visits tailored to your requirements. Pests covered include Wasps, Bees, Rats, Mice, Ants, Bedbugs, Feral Pigeons and Fleas. We also provide a Solar Panel Bird Pest Proofing service. Our prices for pest control in Stoke on Trent and Staffordshire are some of the most affordable in the area. We are a family run pest control business covering Staffordshire, Stoke on Trent, Derbyshire, Cheshire and West Midlands. We are fast, responsive and reliable. We are honest about our work and costs. We can eliminate any pest no matter how big or small. While a lot of pest control companies just come in and kill the vermin, we like to get to the root of the problem to minimise and further infestations. We do this by pest proofing. We control lots of different types of insects, including bees. In most cases we are able to rehome the bees in a different location or just leave them where they are as bees are friendly unless provoked. We first identify the type of Insects seen, then ask the customer if they feel threatened by them before making a decision, based on the Health and Safety risk to the customer including the Environment as to how we control them. Pest control services in Hanley, Stoke, Fenton, Longton, Endon, Kidsgrove, Keele, Tunstall, Burslem, Trentham, Endon, Barlaston, Meir, Norton, Blythe Bridge, Sneyd Green, Birches Head, Clayton, Westlands, Newcastle-under-Lyme, Staffordshire, Cheshire, Crewe, Leek, West Midlands, Manchester, Derbyshire. Great service provided by Paul. Would have no hesitation to recommend his services. Explained what the treatment entailed and how it worked. 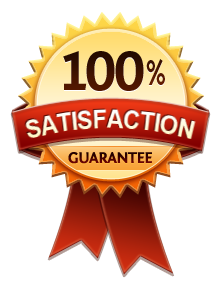 Brilliant service, great price and got the job done quickly and efficiently. Highly recommend! A 5 star service! Paul was very knowledgable & very efficient. Would definitely recommend. Thank you. We at Arrest Apest are committed to providing a quality service to protect your home or business at a fair price. Ratwall is a cost effective and robust stainless steel Rat Blocker that is ideal for installation into underground drains. Ratwall can be installed by hand or from street level and has a unique low force fit. Ratwall is suitable for plastic, clay and cast iron drains. Ratwall has a unique external hinge allowing maximum waste flow. The external hinge block ensures that the unit cannot become dislodged and lost into the sewer pipe.